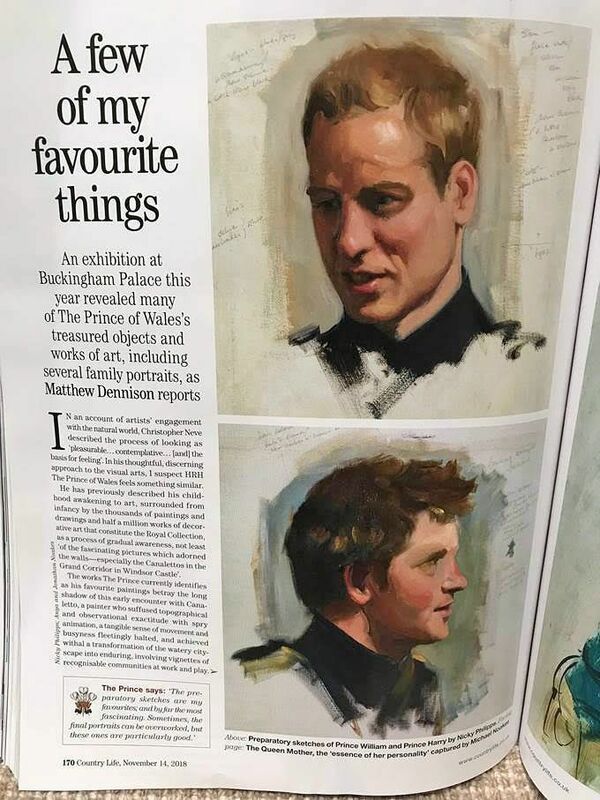 The sketches are part of Prince Charles’ private collection and were painted by Nicky in preparation for her portrait of the two princes in 2009, which now hangs at the National Portrait Gallery. Growing up within an artistic family and with the influence of the Graham Sutherland Gallery, then located at her family home in Pembrokeshire, it was perhaps inevitable that Nicky would enjoy a successful career as an artist. Having trained at the City & Guilds and the Cecil-Graves Atelier in Florence, she returned to London in the late 80s, where she built a successful career as a portrait and still life painter. 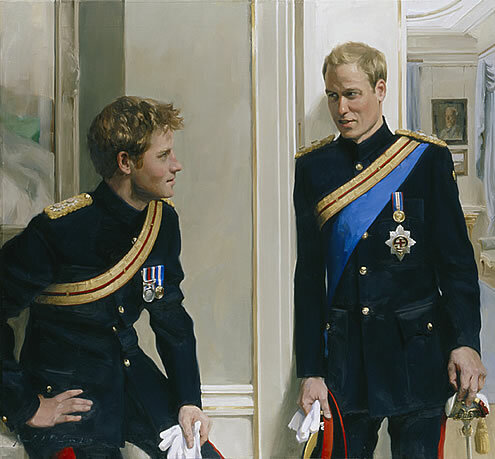 Her varied commissions have included a conversation piece depicting the novelist Ken Follett surrounded by characters from his novels; two ex-Governors of the Bank of England; and in 2010 her double portrait of TRHs Princes William and Harry was unveiled to great acclaim at the National Portrait Gallery, London. In 2013 Nicky was approached by Royal Mail to paint a portrait of HM Queen Elizabeth II for the first class stamp series celebrating the 60th anniversary of her Coronation, the first time Royal Mail had commissioned a painting. The full length portrait depicts HM The Queen in her robes of the Order of the Garter, surrounded by her four dogs. It was at Buckingham Palace during one of her sittings that the idea of including the corgis was born. 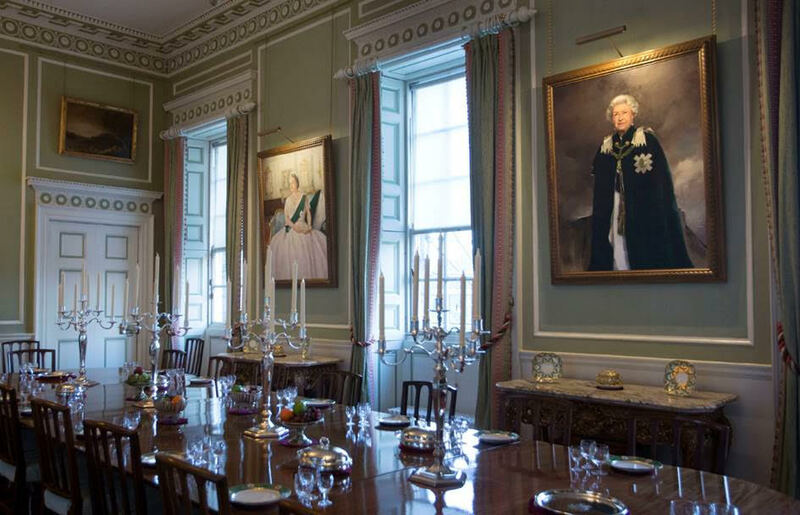 The painting, gifted by Royal Mail, has been accepted by The Queen and is now on display as part of the Royal Collection in the Throne Room at Buckingham Palace. In March 2014 Nicky’s portrait of Falklands hero Simon Weston OBE was unveiled at the National Portrait Gallery, London. 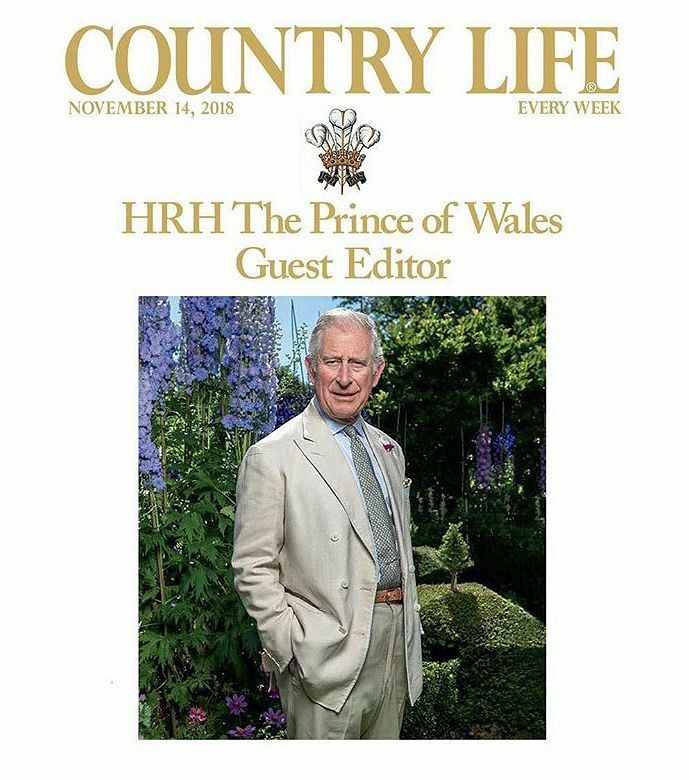 The portrait was commissioned by the NPG and the BBC for their joint project the ‘People’s Portrait’, which gave the public the chance to vote for the person they believed most deserving of a portrait hanging in the NPG. 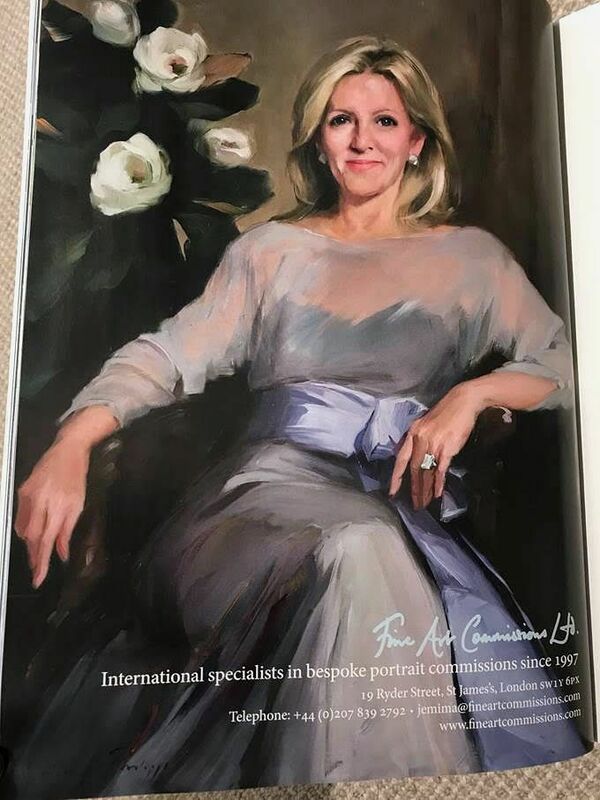 The BBC documented the portrait from the initial meeting of Nicky and Simon, through each ‘sitting’, to the unveiling of the portrait at the NPG by presenters Fiona Bruce and Dan Snow. The one hour programme was featured on BBC 1 on Sunday 13th April. Between her portrait commissions, Nicky has had many successful Still Life and Landscape exhibitions. 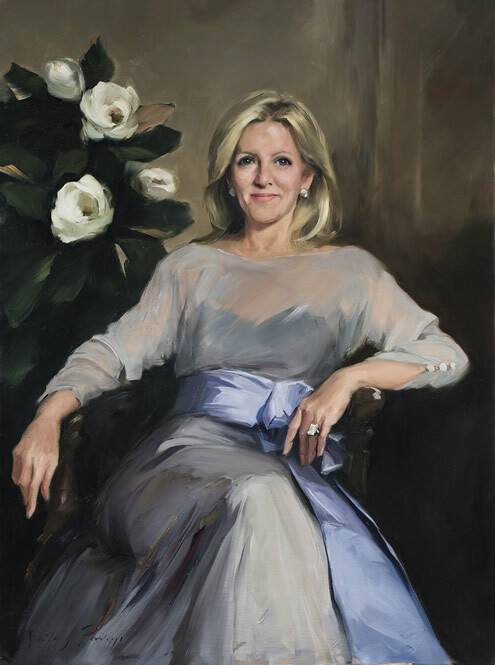 All 70 paintings were sold during the first week of her solo exhibition in Cork Street, and again at her 2015 exhibition from our St James’s gallery. Her paintings can be found in collections worldwide.